ROSENBERG, TX (KTRK) -- Stray dogs in Fort Bend County are finding new homes in the Midwest rather than being euthanized. Fort Bend County Animal Services and the non-profit group Saving Our Companion Animals-Fort Bend County have established a relationship with a shelter in Wisconsin. SOCA-FBC volunteers drove 24 dogs there this past weekend. They plan to continue shipping dogs there monthly for adoption. "We really bust our butts to find places for these dogs to go," said Michelle Camp, who volunteers at the shelter and helped find the shelter willing to take the dogs. "For me it was a personal quest to find something that could help," she said. Rene Vasquez, director of Fort Bend County Animal Services, says the facility takes in 400 to 500 dogs every month. Stray dogs in Fort Bend County are finding new homes in the Midwest rather than being euthanized. 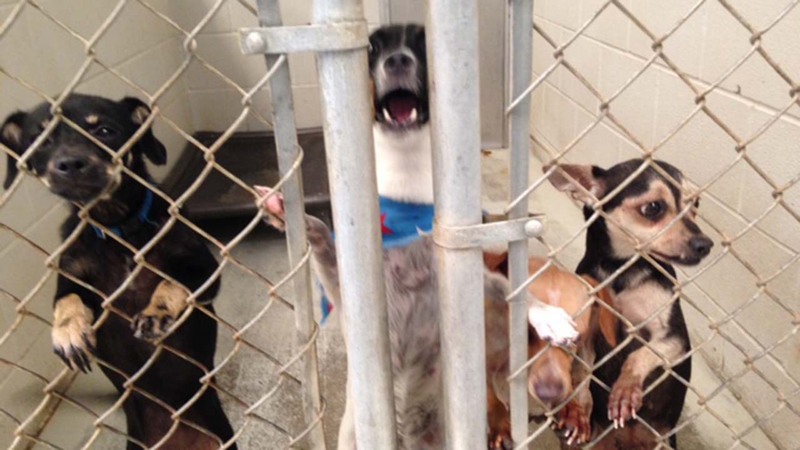 Fort Bend County ordinance requires strays to be euthanized within three days. Animals with tags or a microchip get 10 days. Vasquez says they try to give the dogs more time when they can. Shipping the dogs elsewhere, he says, not only saves the lives of some of the dogs which end up in county kennels but also makes room for additional animals to be brought in. He says in June of last year only 24 percent of animals made it out alive. Since Fort Bend Animal Services began partnering with SOCA-FBC in January, that number is up dramatically: 84 percent. "We're doing our best to get them out, every which way," Vasquez said. SOCA-FBC President Barbara Vass says, "It means everything to us. That's why we do what we do." Each dog though costs between $250 and $300 before they've been cleared by a vet and delivered to the shelter in Wisconsin. She says that is money now supplemented directly from pockets of volunteers. For more on how you can help, you can log onto: soca.fbc.org or fortbendcountypets.com. You can also find the group on its Facebook page by searching soca-fbc.